It’s National Salad Month, and salad can be your go-to dish for any meal with these delicious and easy-to-make salad recipes. First up is a hearty Roasted Butternut Squash Salad, perfect for a warm dinner. Make Asparagus Caprese Salad with Basil Gremolata for a healthy get-together side. 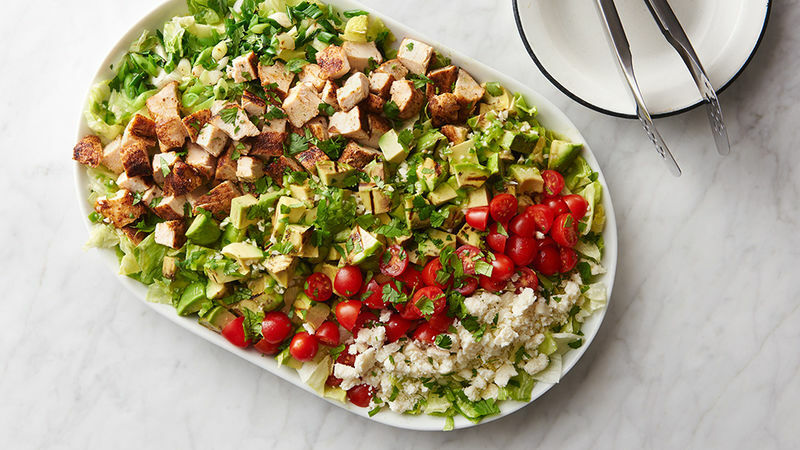 Skip the takeout with this tasty Grilled Chicken Guacamole Chopped Salad. Serve this Berry Watermelon Fruit Salad for brunch. Whip up this California Steak Salad with Chimichurri Dressing for a light summer meal. Make this Roasted Cauliflower Salad with Lemon Tahini Dressing to get your veggies. This summery Cilantro Lime Chicken Salad and Mango Avocado Salsa is sweet and tasty.